AQURON 300 Mix Water Conditioner is a non-toxic, environmentally friendly colloidal liquid which can be added to your concrete mix during batching to minimise risks of shrinkage cracking and slab curl. 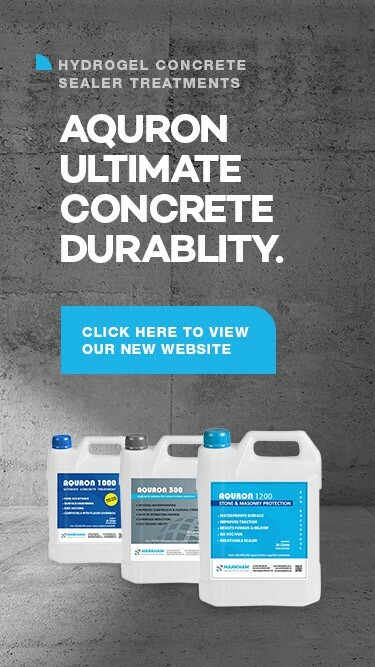 AQURON 300 provides a more cohesive and workable concrete mix. The quality, impermeability and strength of the floor are therefore enhanced from the time of placement through to the completion of the final polishing. AQURON 300 Mix Water Conditioner is compatible with concrete containing normal quantities of recycled materials such as crushed concrete and fly ash. AQURON 300, when used in concrete containing these materials, will produce superior results by reducing drying shrinkage and other adverse effects usually associated with these eco-saving mix designs.